One day, about a year or so ago, I was venting to a friend about my never-ending to-do list. As if she (or anyone else for that matter) didn’t have one just as long as mine. She obviously understood my woes, but she also suggested the brilliant concept of the “done” list, which includes writing down the tasks (even the littlest ones) that I actually did throughout the day. Because, let’s face it, we do so much more than what’s on our to-do list, and we often don’t take credit for it! Some of those things are give-ins, like tying shoes, putting on a band-aid or folding the laundry. But when the list is endless, sometimes we actually have to recognize those tasks as just as significant as those written on the list. Celebrating the small successes is really important. Because if we don’t, we can tend to focus too much on what’s not successful in our lives. 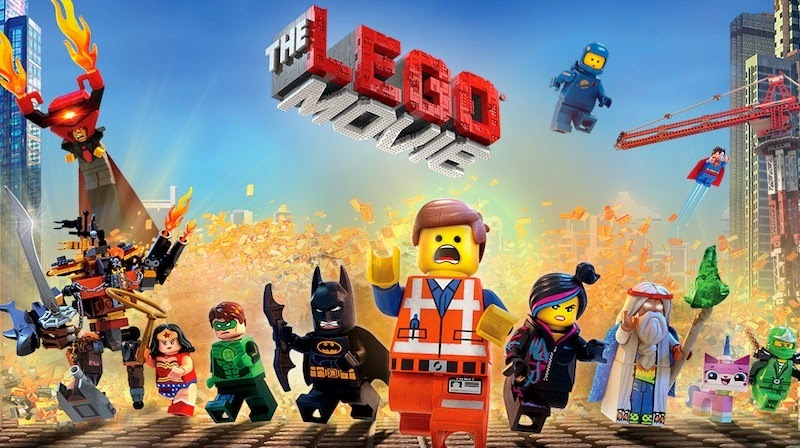 I took all six of my children to The Lego Movie. 1) It was fun! So often, my husband is seen as the fun parent, and I’m seen as the practical one. For the most part, it’s fine and it works, but sometimes, I need the chance to be the fun mom! And what says “fun mom” more than taking the children to a movie at 10 a.m. and buying popcorn, pop and (sneaking in) candy!? 2) I remember after having my third child, I was overwhelmed by doing errands or going out by myself with all three of my girls. It was too unpredictable, and the cart was too crowded, and it was just easier to go by myself. Adding three more to the mix, I continued to be uncomfortable going places with all of the kids. But now that I have a tween who can go and get popcorn refills by herself and a 3yo who is almost potty trained, it is getting a bit easier to go out and about with all six of my children in tow. I still prefer to grocery shop by myself, but I didn’t even think twice about taking them to the movie on Tuesday. Victory! I researched window treatments and throw pillows at Target and took pictures of them in the process. Ever since I finished The Nesting Place, I have been thinking quite a bit about my house and how much of it is “undone” and why. I have been thinking, dreaming and planning about little things I can do now to complete the rooms in my home. 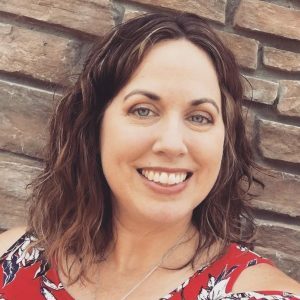 I’ve even talked about painting and doing some bigger projects with my husband, but I also just want to do a few simple things to build my own confidence in the area of home decorating. Pictured here are just a few possibilities, and I’ll keep you posted on what I decide! 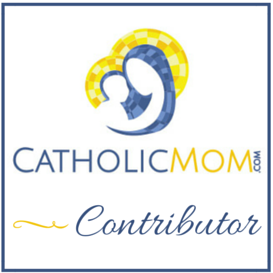 I added social media icons to my blog side bar. I have wanted to do this for months, but to be honest, I had no clue how. But lately, the more I visit some of my favorite blogs and am introduced to new ones, the more I realize how sophisticated and pretty many blogs have become. They are beautiful! And I still have a simple blogger blog. I am very happy with how the icons turned out! And I felt so accomplished when I completed this little project! Yeah! So, what are your small successes this week? Remember, no success is too small to be acknowledged and celebrated! Not among us mamas with our never-ending to-do lists! 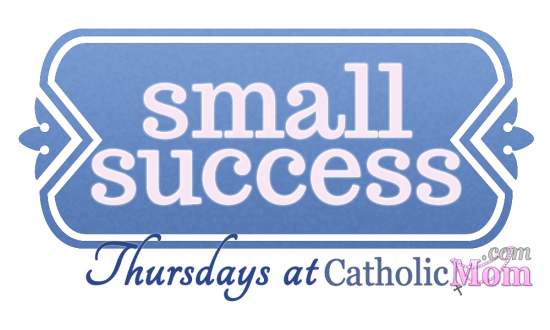 For more Small Success Thursday posts, please visit CatholicMom.com! It's true, when you get to have older ones who are self sufficient, it makes doing even the simplest things easier. And I suffer from being the practical mom too, so good on you for going to see the Lego movie with your kids. We loved it too. Dang. Now the song is in my head.